Tue., Jan. 3, 2017, 6 p.m.
Inpatient hospital beds aren’t the only psychiatric beds available in Spokane. Frontier Behavioral Health operates 32 evaluation and treatment beds for people detained through the state’s involuntary treatment act. Stays in those beds are typically short-term and allow a person to be evaluated to determine whether they need more long-term care at a state mental hospital. People may seek care for themselves or be brought in by family members, police, firefighters, or a crisis response team. Frontier also operates 16 stabilization beds for less acute mental health issues. Those beds are almost always completely full, too. That forces providers to call around trying to find an available bed to take a patient. “It’s a juggling act,” said Jeff Thomas, CEO of Frontier. But providers say some of the need for beds could be reduced if better outpatient care were available in the community. Frontier provides outpatient services for Medicaid patients only. Therapists and social workers are readily available, but someone with private insurance might wait three months for an appointment with a psychiatrist. That can make it hard for someone to manage mental health conditions or find effective medication if the combination they’re on stops working. Tamara Sheehan, Sacred Heart Medical Center’s director of psychiatry, said people regularly come into the emergency room with symptoms that could be better treated in an outpatient setting, but next-day appointments aren’t available. Sheehan said the new hospital will make it easier for doctors and community providers to refer people to hospital-level care if needed. And until more community services exist, the hospitals will keep treating people struggling with mental illnesses. “When people say, ‘I want help,’ we don’t say, ‘Well, you don’t need help,’ and send them away. We honor their request for help,” Sheehan said. Eastern Washington is one of the hardest places in the U.S. to find a bed for mental health care. The state has been sanctioned multiple times for violating the constitutional rights of patients, who sometimes languish in jail instead of receiving treatment. And the cost to taxpayers can be enormous: Eastern State Hospital’s budget was over $75 million this year, with more than 80 percent funded by state and federal taxes. No single solution will fix the shortage. But Providence Health Care has teamed up with Fairfax Behavioral Health to start tackling the issue. The two have partnered to build a 100-bed psychiatric hospital on the Providence campus by early next year. Marieka McPhee remembers a long wait when she went to Sacred Heart Medical Center 15 years ago with severe psychotic symptoms. “I was just basically put in a padded cell all by myself and had to wait for one or two psychiatrists who serve 100 people,” she said. McPhee now works as a peer counselor and takes calls on a local mental health crisis line. Many times, the callers are relatives of someone having serious psychiatric symptoms: hallucinations, psychosis or suicidal thoughts and behaviors. Families often want to avoid the emergency room, where long waits to get a psychiatric bed or see a provider can be common. But often there are few other ways to get help on short notice. “Sometimes that’s all they can do. I feel for them so much,” McPhee said. The number of people requiring mental health care has jumped in the past five years. Providers say several things are driving that expansion. Better awareness of mental illness has made people more likely to seek care. And the Affordable Care Act gave many undiagnosed people health insurance for the first time, often through Medicaid. Frontier Behavioral Health, which provides mental health services to Medicaid patients in the Spokane area, has seen an 80 percent increase in new patients since 2012, mostly as a result of Medicaid expansion, CEO Jeff Thomas said. Years of anemic state funding have also created a backlog of people needing serious mental health care, said Ron Escarda, CEO of Fairfax. Washington’s Department of Social and Health Services, which operates state mental hospitals, was sued in 2014 over “psychiatric boarding,” where patients with severe mental illnesses sat in emergency rooms because there weren’t enough beds available in psychiatric facilities. A federal judge ruled in 2014 the department was violating the constitutional rights of jail inmates with suspected mental illnesses by leaving people stuck in jail, sometimes for months. State hospitals have since added more beds, but still struggle to keep pace with demand. There are just 8.3 inpatient beds per 100,000 residents, according to a 2014 state-by-state report card from the American College of Emergency Physicians. That puts Washington 49th among all states and the District of Columbia, ahead of only New Mexico, with 6 beds, and Colorado, with 5.5. The national average is 26 beds per 100,000 people. That need is especially serious in Eastern Washington. Only three facilities east of the Cascades provide inpatient psychiatric beds. Providence Sacred Heart Medical Center is the largest, with 70 beds available. But the hospital is the only provider in Spokane County and the five counties bordering it. “They’re pretty much full all the time,” said Tamara Sheehan, Sacred Heart’s clinical director of psychiatry. If someone comes to the emergency room with a psychiatric issue, they’ll be treated there until a bed on the psychiatric unit opens up. The emergency room has seven designated psychiatric beds, but other beds are often full of psychiatric patients as well, emergency department director Alex Richards said. At 8 a.m. on a Tuesday in November, the Sacred Heart emergency room was treating 20 psychiatric patients. Fairfax, a Kirkland-based subsidiary of Universal Health Services, will operate the new psychiatric hospital when it opens. Once the 100-bed facility is completed, Providence will reduce the number of Sacred Heart psychiatric beds by 28. 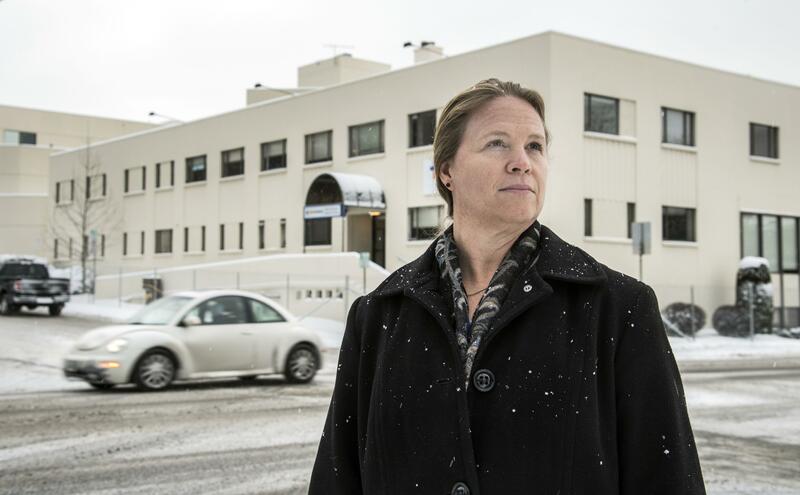 Mental health providers say the new psychiatric hospital should relieve pressure on the region’s overburdened mental health system. But concerns remain about whether the state will provide enough funding to cover Medicaid patients seeking care and whether the hospital will increase competition for a scarce supply of psychiatrists. The $34 million psychiatric hospital, scheduled to open in spring 2018, will have services for children, teens, adults and older people with psychiatric problems. It’s being built on the site of Providence’s old Fifth Avenue and Browne Street medical building, which was emptied last year. When finished it will bring Eastern Washington to 27.3 inpatient beds per 100,000 people, a target the Department of Health has endorsed. It’s based on the average number of psychiatric beds per person across the states of Oregon, Idaho, Montana and Alaska, said Janis Sigman, the program manager for the health department’s Certificate of Need program that regulates hospital projects. As a city in the middle of a mostly rural region, Spokane functions as a hub for many health services, including inpatient mental health care. Kate Morris, a family therapist on Sacred Heart’s adolescent psychiatric unit, said patients come from every county east of the Cascades, along with Idaho, Montana and occasionally the West Side. “The rural communities have far less services available,” Morris said. About 8 percent of Spokane County residents have a mental health issue or emotional disturbance. That compares with 5 percent statewide, said Alex Jackson, CEO of Sacred Heart and Holy Family hospitals. And 27 percent of Sacred Heart’s psychiatric patients come from outside the county, according to Fairfax and Providence’s application to build the hospital. “This is a county that’s really underserved,” Escarda said. Escarda said patients could be referred to the new hospital from community providers, like Frontier, or through visits to the emergency room, in addition to seeking care on their own. The hospital will treat Medicaid patients as well as those with private insurance. In many states, federal Medicaid money can’t be used to pay for inpatient behavioral health care in facilities over a certain number of beds. Washington has a federal exemption to this rule. But Medicaid funding to pay for stays hasn’t been allocated to the county behavioral health organization. Christine Barada, director of the county’s Community Services, Housing and Community Development Department, said she’s concerned the state may sign a contract with the new hospital, which would obligate the county organization to pay for beds at a negotiated rate, whether or not they’re given any funding to do so. Several other counties with mental health facilities under construction are in a similar position, she said. Gov. Jay Inslee’s budget proposal included expanded mental health funding, which Barada said would likely include giving county behavioral health organizations more funding to cover services like this. But none of that is certain until a budget passes the Legislature. “It’s going to be an important issue to resolve in the next year,” Barada said. Escarda said Fairfax is discussing the new hospital with the state, although no reimbursement rate has been set yet. He’s confident the funding will come through once a contract is signed. The psychiatric beds remaining at Sacred Heart will likely focus on patients who also need acute medical care. That could include somebody who has survived a suicide attempt or a patient with both physical and mental disorders. “It’s not uncommon for somebody with diabetes, hypertension to also be depressed,” said Dr. Kirk Rowbotham, CEO for Providence Medical Group, which runs Providence clinics and outpatient services in Spokane. Gaps in Washington’s mental health system aren’t just about beds. There’s also a nationwide shortage of medical staff, especially psychiatrists. That’s what happened at Sacred Heart about a year and a half ago, when the hospital’s seven psychiatrists resigned. Psychiatrists were supposed to work during the week and have weekends off, but routinely had to come in on their days off because the unit was full or other staff were on vacation. Sometimes, they ended up working 11 or even 14 days in a row. “Despite our very aggressive efforts to recruit more psychiatrists, we couldn’t keep up with the demand,” Rowbotham said. Sacred Heart reduced the patient load for psychiatrists and has since changed the schedule to ensure providers had a week off after a week on. They’ve been able to hire more psychiatrists, allowing them to reopen all 70 beds as of early November. Administrators at Frontier Behavioral Health and Eastern State Hospital, the other largest providers of mental health care in Spokane County, say the new beds will be good for the community, but worry about losing staff to a private entity that can afford to pay more. “Everybody is kind of competing against one another for the clinicians that exist,” Barada said. The state mental hospitals have long struggled to recruit and retain staff who can earn more money elsewhere. Starting in September, DSHS increased pay for many positions at the hospitals, including a 17.5 percent jump for nurses. Chet Roshetko, chief nursing officer at Eastern State Hospital, said many psychiatric nurses are committed to the work they do and said keeping nursing jobs full is less difficult than hiring psychiatrists or other specialized workers. With the pay raise, Eastern State is more competitive with other providers in the region. But nationwide, it is becoming more difficult to hire nurses. Demand is soaring as baby boomers retire and need more health care, and nursing schools only have capacity for about one-third of qualified people who apply. Psychiatry is facing a similar shortage. Older providers are retiring faster than they’re being replaced. “We may be competing regionally for nurses, but we’re competing nationally for psychiatrists,” said Dorothy Sawyer, CEO of Eastern. In July, Providence reinstated its psychiatry residency program. Three residents per year will enter the four-year program. The hope is that the residents will decide to make a home in the region they trained in. Escarda said some of the staff for the hospital would be transferred from Sacred Heart, though exact numbers and staffing levels haven’t been worked out. In total, he anticipates about 300 total people will be employed in 150 to 200 full-time equivalent jobs at the hospital. He said Fairfax will not actively recruit staff away from other providers in the area, but expects some people may want to work for the new hospital. “We’re always going to work collaboratively with other community providers. However, it’s not really our responsibility to ensure effective staffing of other organizations,” he said. This article has been updated to correct the number of Sacred Heart psychiatrists who resigned in 2015 and correctly describe the previous psychiatrist work schedule. Published: Jan. 3, 2017, 6 p.m.